Reflexology is a non-intrusive complementary health therapy, based on the theory that different points on the feet, lower leg, hands, face or ears correspond with different areas of the body. Reflexologists work holistically with their clients and aim to work alongside allopathic healthcare to promote better health for their clients. 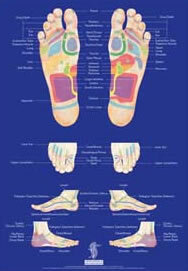 Reflexology is a wonderful, natural and simple way of helping your body to heal itself. The art of Reflexology dates back to Ancient Egypt, India and China and has been practised in its current form for over 70 years in Europe and the United States. Eunice Ingham (the founder of modern Reflexology) believed that by applying pressure through massage, stretching and holding the feet or hands the body could be bought back into balance giving a feeling of well being. Reflexology is safe, natural and non-invasive, providing more than just physical benefits as it deeply calms and balances your entire mind, body and spirit. 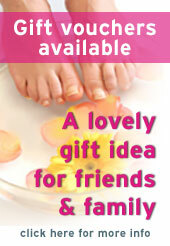 Reflexology is one of the UK’s most popular therapies. 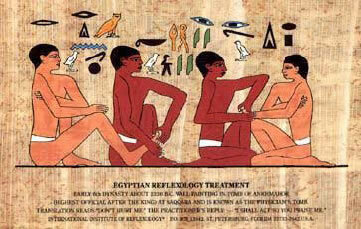 The art of Reflexology dates back to ancient Egypt, India and China and was depicted on the Egyptian tomb in 2350 BC. Reflexology as we know it today can be linked back to a series of developments by several Neurologists and Doctors in the UK and US. In 1893 Sir Henry Head an English Neurologist proved the neurological (nerve) relationship between pressure applied to the skin and internal organs. In 1906 Sir Charles Sherringham, an English Neurologist showed that the brain, spinal cord and reflex pathways control the activities of the body. He established that nerves coordinate body functions and published a book “The Integrative Action of the Nervous System which he was awarded a Nobel Prize for science. he divided the body into ten equal and vertical zones, ending in the fingers and toes. He concluded that pressure on one part of a zone could affect everything else within that zone. In the 1930’s, Eunice Ingham, a therapist, further developed and refined the zone therapy into what is now known as reflexology. She observed that congestion or tension in any part of the foot mirrors congestion or tension in a corresponding part of the body. Thus, when you treat the big toes there is a related effect in the head, and treating the whole foot can have a relaxing and healing effect on the whole body.